Irish baby bib features shamrocks along with a blessing. 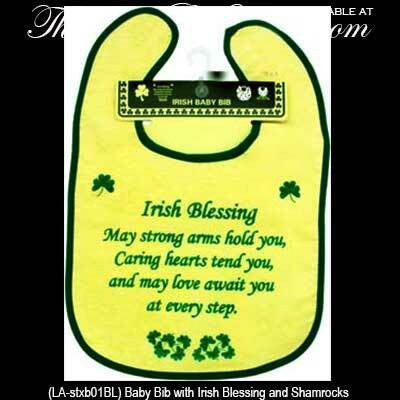 This baby bib with shamrocks also features an Irish blessing. The yellow cotton Irish baby bib is enhanced with a Velcro closure along with Kelly green trim, text and shamrocks.